From the celebrated author of The Bird Sisters, a gorgeously rendered and emotionally charged novel that spans generations, telling the story of two siblings, raised apart, attempting to share a life. It is 1938 when Eveline, a young bride, follows her husband into the wilderness of Minnesota. Though their cabin is rundown, they have a river full of fish, a garden out back, and a new baby boy named Hux. But when Emil leaves to take care of his sick father, the unthinkable happens: a stranger arrives, and Eveline becomes pregnant. She gives the child away, and while Hux grows up hunting and fishing in the woods with his parents, his sister, Naamah, is raised an orphan. Years later, haunted by the knowledge of this forsaken girl, Hux decides to find his sister and bring her home to the cabin. But Naamah, even wilder than the wilderness that surrounds them, may make it impossible for Hux to ever tame her, to ever make up for all that she, and they, have lost. Set before a backdrop of vanishing forest, this is a luminous novel of love, regret, and hope. Before I even cracked this open I had a good feeling. Maybe it was because I really enjoyed Rasmussen's debut The Bird Sisters or perhaps it was because the cover of this one is fantastic. What I do know is that my instincts were right on. 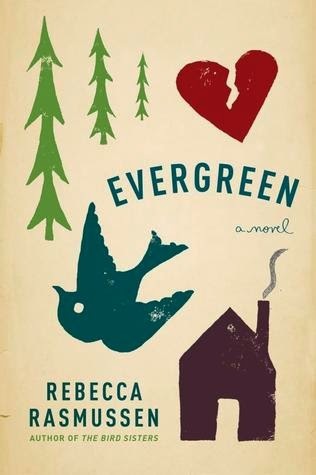 Evergreen is a thoughtfully written tale that takes place between the 1930s and the 1970s. Emil, a German immigrant and his young bride Eveline settle into a rustic cabin in the woods of Minnesota. Their lives are cozy, but lonely. 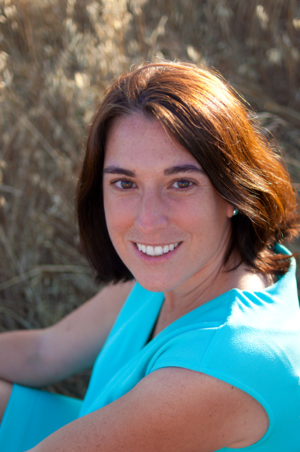 The choices they make reach into the future to affect their children in dramatic ways. The story is raw, bittersweet, and skillfully woven. I mentioned that the characters were fab. The only problem with some of them was that they didn't stay around as long as I wanted them to. But doesn't a good book always leave you wanting more? I think so. I am very much looking forward to whatever Rebecca Rasmussen writes next. I highly recommend the atmospheric and beautifully written Evergreen. I need to read this, sitting on the shelf...ugh so many books!! So happy you liked it and good to see you!! Yay, glad to see you back! I really loved the setting of this book, especially how well it was set up in the beginning. I had a hard time "breaking up" with some of the characters as the story moved on, too, but thought it was really well done overall. Huh. A coworker and I were just discussing plot driven vs character driven stories and how he much prefers character driven. Would a guy like this book? Love the sound of this. To add to the list! This one is firmly on the radar. This sounds amaaaazing. Character driven + some family drama = I must read. Hmm...I haven't heard of this author or this book before, but my tbr list is getting a new friend! I've read only good reviews about this book. I need to get it at my library and READ it as you say or maybe suggest it as a book club selection.